Die umgekehrte Rüstung (The Reversed Armory) is a co-production by Bjørn Melhus and Yves Netzhammer. In vivid images, the video deals with contagion and injuries to the body, with bacterial and viral attacks on the human organism. 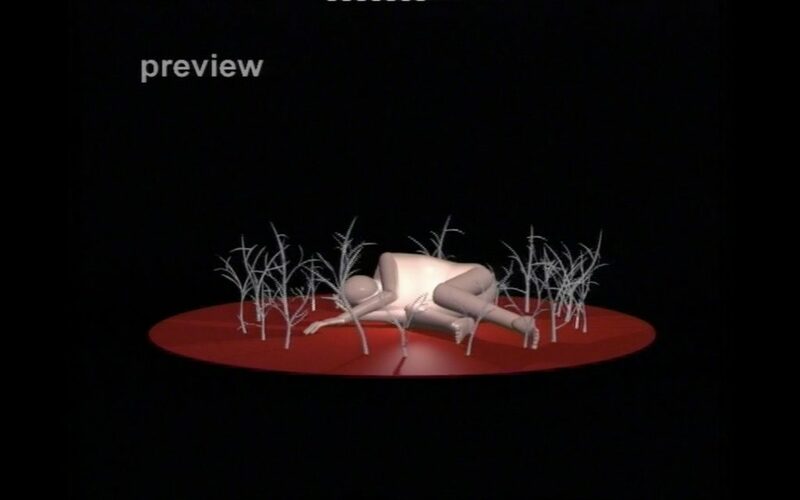 In analogy to the pulsing flow of the pictures, the video circles around the subject of blood, that „transformable material, equally physical and psychological“ (Netzhammer), the appearance of which has always evoked a maximum of human emotions, from vulnerability, to horror, power and helplessness. Bjørn Melhus produced the soundtrack to the film by manipulating snippets of American western and science fiction films.